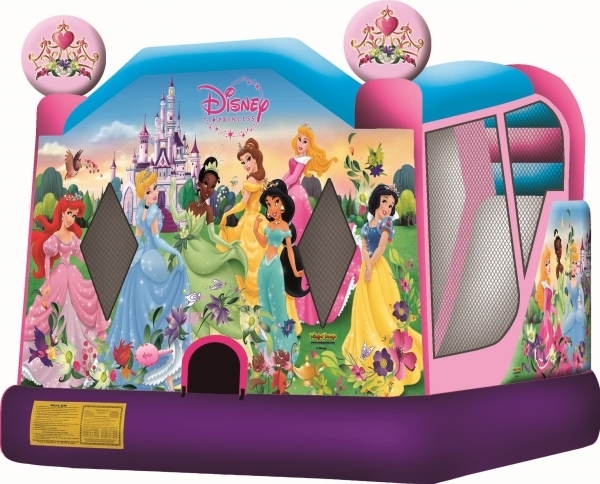 Children will capture America's space accomplishments in this amazing inflatable play space. 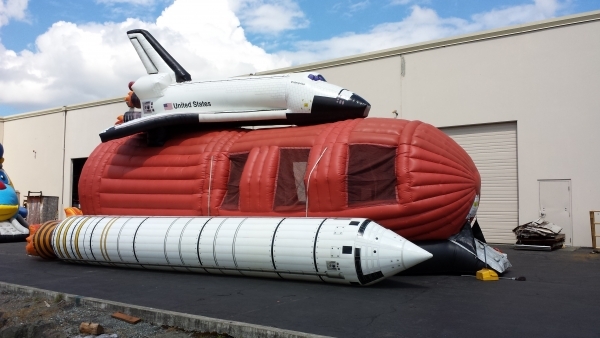 At nearly 50 feet long, this stunning replica of the Space Shuttle includes a spacious bouncing area filled with detailed space photos and a climb and slide that exits into an awesome rocket plume. Enter through the ancient and awesome dinosaur boneyard and use the vine ropes to guide your feet up the rocky surfaced inflatable terrain. Beware of the raging volcano at the mountain's peak. 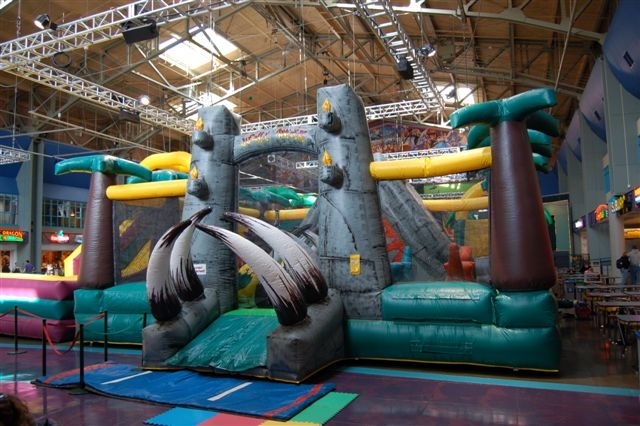 If you can't take the heat at the top of the volcano, then the fastest way to the bottom is the two 10-foot inflatable slides.